Oral radiology has seen quite dramatic changes in the last two decades, and a pardigm-shift in many disciplines from many 2-dimensional (2D) imaging to 3-dimensional (3D) radiography for diagnostic and treatment planning purposes. 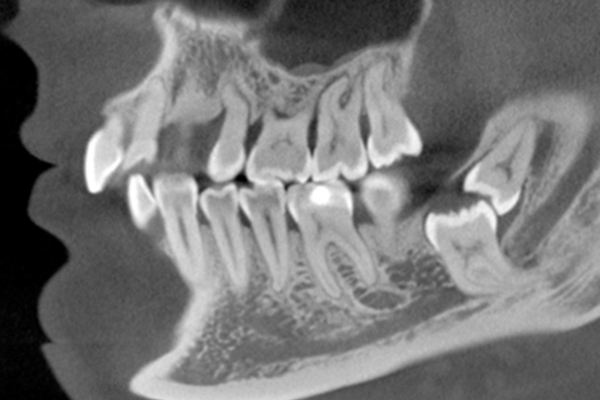 The main driver for this 3D revolution has been cone beam computed tomography (CBCT), which is now widely accepted for multiple indications in various dental disciplines as the methodology of choice for advanced dental imaging - or even as primary imaging technique. Constant developments have resulted in specific low dose protocols for dose reduction without the loss of imaging quality, and also software options to correct potential motion artefacts by the patients. Besides CBCT, also CT, MRI, and ultrasound are imaging options in the oral and maxillofacial region that can provide crucial information. 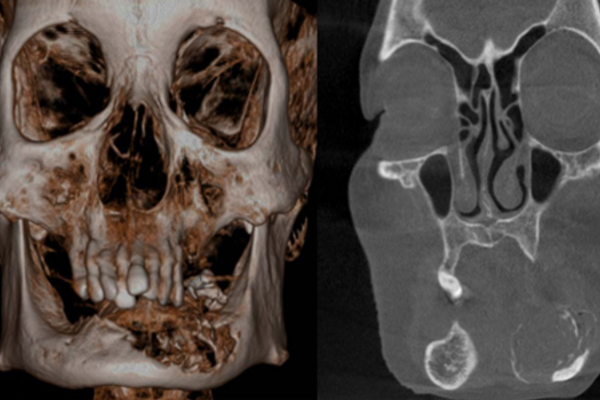 Current developments and hot topics in diagnostic imaging in the cranio-facial region will be presented, discussed, and also respective workshops provided during this unique 2-day symposium featuring internationally renowned speakers and experts. University of Hong Kong reserves the right to cancel, postpone or modify the announced course content, limit enrollment, or change the location, time, date, or speakers due to unforeseen circumstances. No request for refunds will be accepted if a registrant is unable to attend the seminar/course for any reason whatsoever after the commencement of the seminar/course. Reinhilde Jacobs is dentist, Doctor in Dental Sciences (PhD University of Leuven), periodontologist (KU Leuven) and Master in Dental Radiology (University of London). She is full professor at the University of Leuven and visiting professor at Karolinksa Institutet, Stockholm, Sweden and Dalian Medical University in China. R. Jacobs is heading the omfs impath research group of the KU Leuven (omfsimpath.be), being responsible for research, education and clinical activities in the field of dentomaxillofacial radiology. She is Secretary General of the International Association of DentoMaxilloFacial Radiology She also serves as section editor imaging of Clinical Oral Investigations, and associate editor of European Journal of Oral Implantology, and Oral Radiology, meanwhile being editorial board member of Clinical Oral Implants Research, Journal of Oral Rehabilitation, Imaging Science in Dentistry, Oral Surgery Oral Medicine Oral Pathology Oral Radiology, Revista Odonto Ciencia, Archives of Oral research and Tandheelkundig Jaar. She has received the D Collen Research Travel Award (1994), the IADR Young Investigators Award (1998) and the Belgian Joachim Award in the Odontostomatology (1999). In 2013, she received a Dr Honoris Causa at the "Iuliu Hatieganu" University of Medicine and Pharmacy in Cluj-Napoca. She is involved in many multidisciplinary and interuniversity research collaborations, with a specific focus on oral implant physiology and imaging research. She has been actively participating in European projects (ref. Minosquare, Osteodent, SedentexCT, Dimitra). She is (co-)author of 5 books and more than 365 publications in peerreviewed journals besides multiple invited lectures and publications in other journals or books. 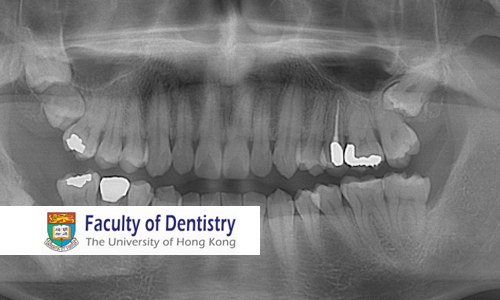 Andy Yeung has been appointed in 2015 as Tutor in Radiography in Oral and Maxillofacial Radiology at the Faculty of Dentistry, The University of Hong Kong, Hong Kong SAR, China. Dr Yeung obtained his dental degree (2012) and PhD (2017) at the University of Hong Kong. He has worked as a Junior Hospital Dental Officer at The Prince Philip Dental Hospital in 2012-2013. His research interests include diagnostic imaging and functional neuroimaging. Alex Y-J Chen has graduated from the Dental school of the National Taiwan University in 1998. Then started his resident training in the National Taiwan University Hospital. Since he has shown great interests in the filed of TMD and Occlusion, he has his post-graduate traning in University of Zurich under the guiding of Professor Dr. Sandro Palla. During his staying in Switzerland between 1992 to 2000, he has started the studies of magnetic resonance imaging (MRI) in the masticatory system. He is one of the pioneers in developing true dynameic MRI of the human temporomandibular joint (TMJ). Based on thses studies, Dr. Chen has obtained his Dr. med. dent. in 2000 at the University of Zurich. From 2002, he has started his academic carrier in the Dental School of the National Taiwan University. His major clincial and research interests are in removable prosthdontics, dental occlusion, TMD and orofacial pain, and sleep apnea. Now he is assistant professor in the Dental school, and as the director of Prosthetic Dentistry of the National Taiwan University Hospital. He is also now the president of the the Asian Academy of the Craniomandibular Disorders (AAMD). Dr. Gang Li is Professor of Oral and Maxillofacial Radiology at Peking University School and Hospital of Stomatology. He obtained his DDS degree in 1993 and worked as a general dentist for more than 5 years. In 1999, he went to Stockholm, Sweden and studied in Karolinska Institutet, where he got his Ph.D degree in 2004. Since then he did his post-doc work at ACTA, Amsterdam, the Netherlands until 2007 when he came back to Peking University, China for clinical work, teaching and research. Dr. Gang Li is currently a member of International Association of Dentomaxillofacial Radiology, a founder member of European Academy of Dentomaxillofacial Radiology, fellow of International College of Dentists, Standing committee member and Secretary to Chinese Society of Oral and Maxillofacial Radiology. He has authored more than 80 peer-reviewed articles and served as Associated Editor for the Journal of “Dentomaxillofacial Radiology” since 2011. He also served as editorial board members for international peer-reviewed journals such as “Imaging Science in Dentistry”, “International Journal of Radiology”, ”Journal of Forensic Pathology”, etc. His main research interest focuses on physical property and clinical application of digital imaging including CBCT/ CT, patient radiation dose and protection and forensic odontology. Ray Tanaka has been appointed in 2016 as Clinical Assistant Professor in Oral and Maxillofacial Radiology at the Faculty of Dentistry, The University of Hong Kong (HKU). She has an experience of 15 years in research, clinical services, and teaching at Niigata University, Japan, where she obtained her degree of DDS (1998) and PhD (2006). She also continued with her specialization in oral and maxillofacial radiology to obtain the certificates of Qualified Specialist and Certified Specialist by the Japanese Society for Oral and Maxillofacial Radiology (2009). She has already worked for Oral and Maxillofacial Radiology at the Faculty of Dentistry, HKU, as an honorary assistant professor (2011-2012). She has conducted clinical research using various imaging modalities, though mainly with computed tomography. She has widely collaborated with colleagues and/or students in oral and maxillofacial surgery, orthodontics, oral pathology, oral anatomy, and other units with a focus on three-dimensional morphometrical characteristics of jaw deformity cases, diagnostic imaging of osteonecrosis of the jaws, and also visualization of neurovascular anatomy of the jaws. Her current major research interests include risk evaluation of osteoporosis by use of dental imaging modalities, and/or with computer-aided detection (CAD) systems, and the use and validity of ultrasonograophy for the detection of oral inflammatory conditions. Michael Bornstein has been appointed in 2016 as Clinical Professor in Oral and Maxillofacial Radiology at the Faculty of Dentistry, The University of Hong Kong, Hong Kong SAR, China. He is also Visiting Professor at the OMFS-IMPATH Research Group, Department of Imaging and Pathology, University of Leuven, Belgium. Dr. Bornstein obtained his dental degree (1998) and thesis (Dr. med. dent., 2001) at the University of Basel. He continued with specialization in oral surgery and stomatology in Basel and Bern. In 2004, he was visiting assistant professor at the Department of Periodontics at the University of Texas Health Science Center at San Antonio, USA. From 2007-2014 he was head of the Section of Dental Radiology and Stomatology, University of Bern. In 2009, he obtained the Habilitation (Privatdozent/PhD) and in 2014 he became Associate Professor in the field of „Oral Surgery and Stomatology“. 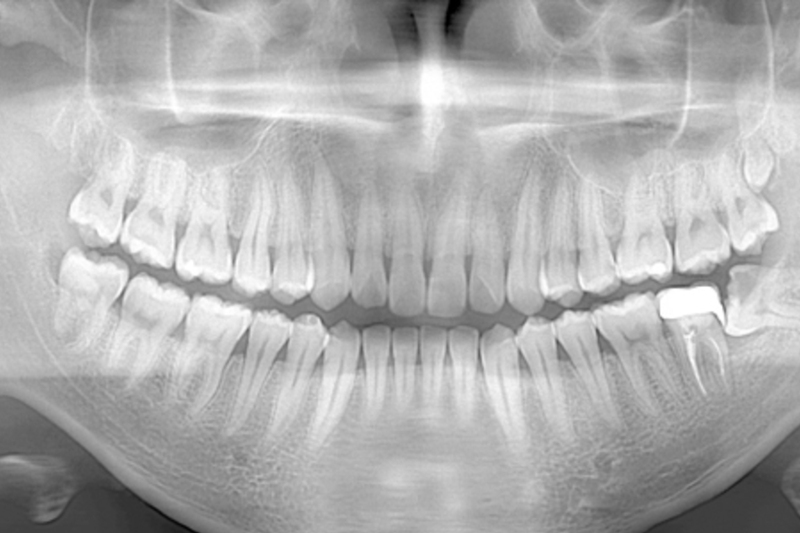 His fields of research include cone beam computed tomography (CBCT) in clinical dental practice, diagnostic imaging, stomatology/oral medicine, GBR procedures and dental implants. He has published over 130 original articles, and is the author / co-author of numerous case reports, review articles, and book chapters. Experience the rush of catching a fish bigger than you!